Planning a holiday in Lanzarote? Or simply want to find out more about this unique Canary Island? Then download the new edition of Lanzarote Guidebook – the free, in-depth tourist guide to the Island of Fire. Lanzarote Guidebook is researched and written by long term island residents. Which means that it provides readers with the real inside track to the island. And it is published every quarter. Ensuring that information is always accurate and up to date. The new Spring 2009 edition is packed with useful information for visitors. Along with some fantastic pictures of the island from local photographer James Mitchell. 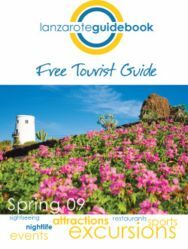 And can be downloaded for free at www.lanzaroteguidebook.com. Lanzarote Guidebook contains comprehensive information about all of the island’s resorts, towns and places. Including maps, restaurant and accommodation recommendations and sightseeing tips. 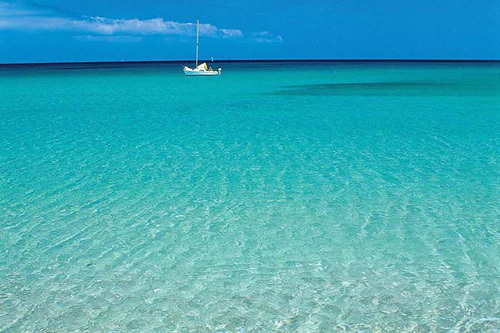 As well as detailed information about where to find the best beaches on the island. An introduction to the works of the island born artist and architect Cesar Manrique. And a guide to all of the islands many attractions. In addition Lanzarote Guidebook contains a handy Essentials section. Providing useful information on details such as bank opening times, hiring a car, driving on the island, duty free allowances, shop opening hours and a list of emergency contact numbers. This indispensable guide is published in a handy and portable A5 format and is distributed free to tourists on the island via car hire companies, hotels and private villas. Travelling in the Costas Discover Lanzarote – César´s Empire What to do on your holidays to Majorca Sicily: an azure-blue dream of summer Join me for an amazing ride by La Costa del Sol?